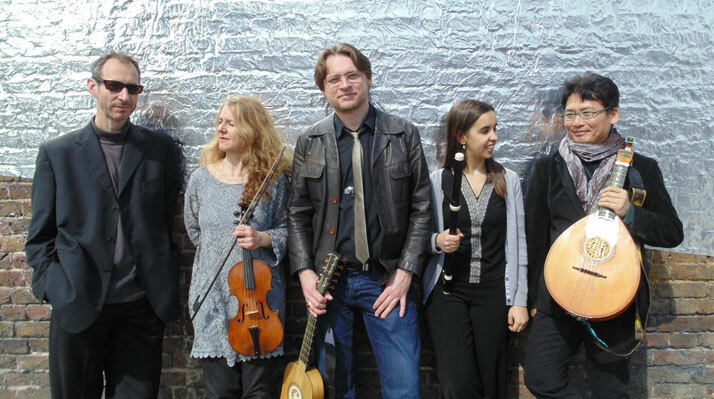 A baroque-folk fusion between L’Avventura London and The Old Blind Dogs. Baroque group L’Avventura London collaborate with Scottish folk band The Old Blind Dogs and two-time winner of the ‘Scots Singer of the Year’ award Siobhan Miller for an evening that mixes the sounds of 18th-century high art music with folk. Discover a world in which baroque strings, lutes and recorders are played side by side with whistles, fiddles and mandolins. Topped with mesmerising vocals by one of the finest interpreter’s of Scottish folk song today, the evening promises a mix of hauntingly beautiful melodies, traditional ballads and rhythmic toe-tapping dances. An evening packed with romance, humour and vivacity. Žak Ozmo and members of The Old Blind Dogs discuss the similarities between early music and folk music. Supported by an anonymous donor.